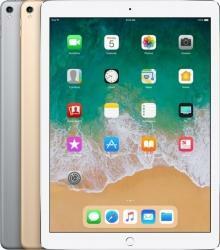 Amazon has the highly rated (average 4.7 stars) Apple iPad 6th Generation 32GB WiFi Tablet, Space Gray or Gold for $279.99. Free shipping is also included with this deal. eTech Galaxy via eBay has the Samsung Galaxy Tab E Lite 7" Android Tablet with 8GB Storage for $79.99. Free shipping is also included with this deal. Exclusively for Prime members, Amazon has the Amazon Fire HD 8" Tablet w/ 16GB Storage & Special Offers for $49.99. Free shipping is also included with this deal. 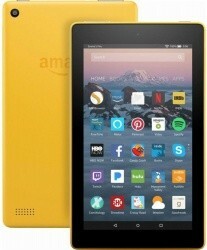 Exclusively for Prime members, Amazon has the Amazon Fire 7 Tablet with Alexa, 8GB Storage & Special Offers for $34.99. You will also get free shipping on this item. Save $30 for a limited time! 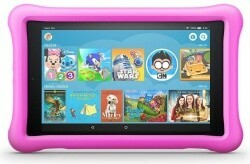 Amazon has the Fire HD 8 Kids Edition Tablet with 32GB Storage, 3 Colors for $99.99. Also, free shipping is included with this deal. Amazon has their highly rated Amazon Fire HD 8" Tablet w/ 16GB Storage & Special Offers for $59.99. Free shipping is also included with this deal. Save $10 for a limited time! 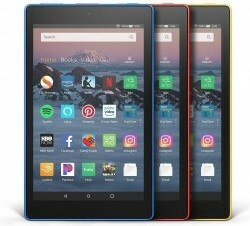 Amazon has the Amazon Fire 7 Tablet with Alexa, 8GB Storage & Special Offers for $39.99. This item also currently includes free shipping. Amazon has the very highly rated (average 4.8 stars) Apple iPad 6th Generation 32GB WiFi Tablet, Choice of Colors for $249.00. This item also currently includes free shipping. 232 Tech via eBay has the Samsung Galaxy Tab A 10.1" 16GB Android Tablet, Black for $199.99. This item also currently includes free shipping. In addition, you'll earn eBay Bucks to use on a future eBay purchase. Amazon has the very highly rated (average 4.8 stars) Apple iPad 6th Generation 128GB WiFi Tablet in 2 Colors for $329.99. Free shipping is also included with this deal. 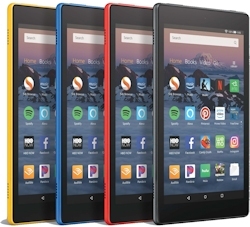 Amazon has the 3-Pack of All-New Amazon Fire HD 8 16GB Tablets, Choice of Colors for $179.97. You will also get free shipping on this item. 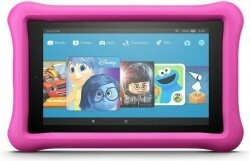 eBay has the refurbished Sylvania 9" Portable DVD Player & Android Tablet Combo for $54.99. You will also get free shipping on this item. 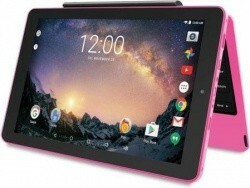 Walmart has the SmarTab 10.1" 2-in-1 Touchscreen Android 6.0 Tablet w/ Keyboard for $69.98. Also, free 2-day shipping is included with this deal. Save $50 for a limited time! 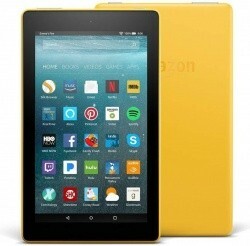 In 3 colors, Amazon.com has the Amazon Fire HD 10" Tablet with 32GB & Alexa Hands-Free for $99.99. You will also get free shipping on this item. Last minute deal - save $20 each! 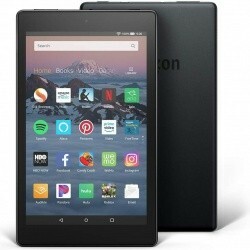 Amazon has their Fire HD 8" Tablet w/ 16GB Storage & Special Offers for $59.99. 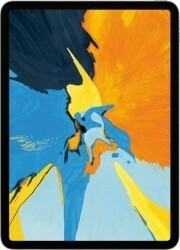 Choice of black, red, blue or yellow. Free shipping is also included with this deal. Add a Show Mode Charging Dock for $49.99. 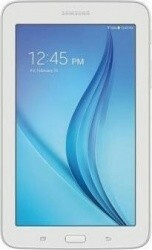 Walmart has the Samsung Galaxy Tab E Lite 7" Android Tablet with 8GB Storage for $69.99. Free shipping is also included with this deal. Big price drop! 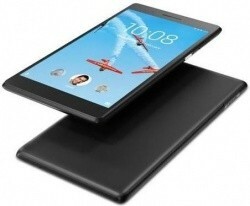 Walmart has the Lenovo Tab E7 Quad-Core 7" Android Tablet with 8GB Storage & Back Cover Included for $59.00. Also, free shipping is included with this deal. 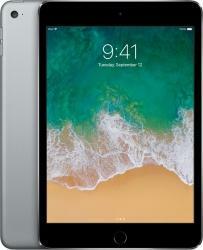 Best Buy has the just-announced Apple iPad Pro 11" and 12.9" Tablets (New Models for preordering at $799.99 and up. Free shipping is also included. Release date is 11/7. 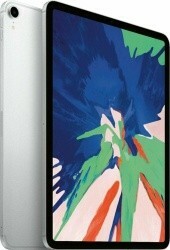 BuySpry via eBay has the refurbished Apple iPad Pro 2nd Gen 12.9" Tablet, Choice of Storage & Colors for $580.00 and up. This item also currently includes free shipping. 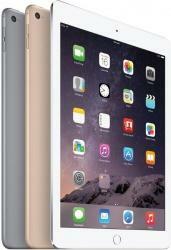 BuySpry via eBay has the Apple iPad 6th Generation 32GB WiFi + 4G LTE Cellular Tablet for $364.99. You will also get free shipping on this item. In addition, you'll earn eBay Bucks to use on a future eBay purchase. 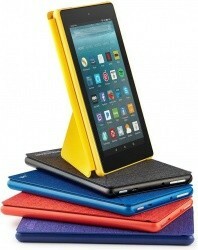 Exclusively for Prime members, Amazon has the Amazon Fire 7" Tablet with WiFi, 8GB Storage, Special Offers for $34.99. Also, free shipping is included with this deal. 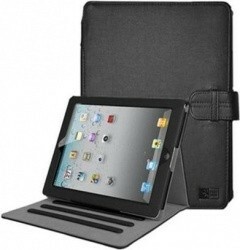 woot.com has the refurbished Apple iPad 2nd Generation 16" Tablet with Logic Folio Case for $69.99. Free shipping for Amazon Prime members, otherwise shipping is a flat $5.00. Posted on 8/21/18 in Tablets, Woot! 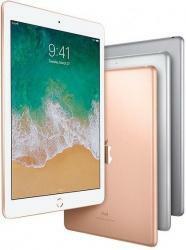 Amazon.com has a selection of Apple Certified Refurbished Apple iPad Air 2 Tablets for $299.00 and up for one of their Gold Box deals. Free shipping is also included with this deal. 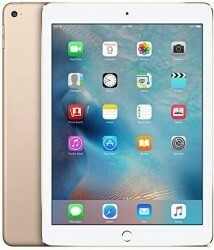 Walmart.com has the Apple iPad mini 4th Generation 128GB WiFi Tablet in 3 Colors for $299.99. Also, free shipping is included with this deal. 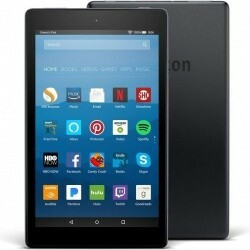 Amazon.com has the Amazon Fire HD 8" Tablet with 32GB Storage & Special Offers for $59.99. Also, free shipping is included with this deal. 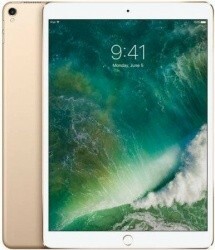 Walmart.com has the refurbished Apple iPad Pro 10.5" 64GB Tablet with WiFi, Gold for $429.99. You will also get free shipping on this item. 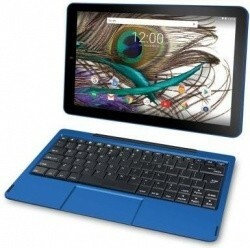 In your choice of 4 colors, Walmart.com has the RCA Galileo Pro 12" Android 32GB Tablet w/ Keyboard Case for $79.98. Free shipping is also included with this deal. 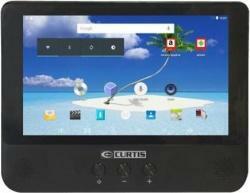 eBay has the refurbished Sylvania 9" Portable DVD Player & Android Tablet Combo for $59.99. You will also get free shipping on this item. 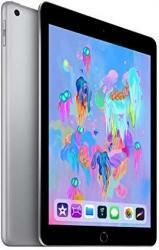 BuySpry via eBay has the refurbished Apple iPad Air 2 Retina 9.7" Tablet w/ 128GB Storage, 3 Colors for $309.99. This item also currently includes free shipping. In addition, you'll earn eBay Bucks to use on a future eBay purchase. 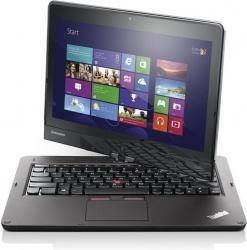 Always Deals via eBay has the refurbished Lenovo ThinkPad Twist 12.5" Touch Laptop w/ i3, 4GB, 320GB for $199.99. Free shipping is also included with this deal. In addition, you'll earn eBay Bucks to use on a future eBay purchase. 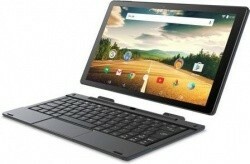 Walmart.com has the RCA Viking Pro 10.1" 32GB 2-in-1 Android Tablet in Several Colors for $69.98. This item also currently includes free shipping. 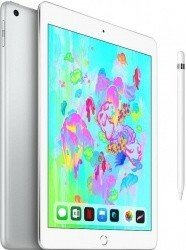 Sam's Club has the Apple iPad 6th Generation 128GB Tablet with Apple Pencil for $478.00. Free shipping on most items with a Plus membership, or choose in-club pickup when available. Non-members can pay a 10% surcharge or sign up for a membership here and get a free $20 gift card. 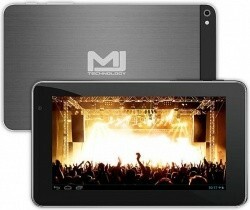 ThinkGeek has the MJ Technology Android Tablet with Built-in HDTV Tuner for $69.99. Free shipping on $75 or more (cannot be combined with other offers) otherwise shipping is a flat $8.95.